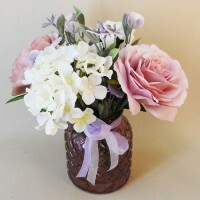 Welcome to the home of Artificial Flowers. With an unrivaled passion for all things floral Decoflora pride ourselves in offering one of the largest collections of stems of Artificial Flowers, Silk Flowers, Artificial Foliage, Silk Flower Arrangements, Silk Wedding Flowers, Flower Vases and accessories and DIY Christmas decorations in the whole of the UK. With our fabulous range of over 2500 different Artificial Flowers we are here to help you create Floral Displays for your home, work or event. Whatever your heart desires in Artificial Flowers, Plants and Trees you are sure to find it here at Decoflora, the one stop shop for all things floral. Our Silk Flowers collection includes flowers in every colour of the rainbow - from Purple Flowers to orange flowers, black to white and flowers from every corner of the globe. 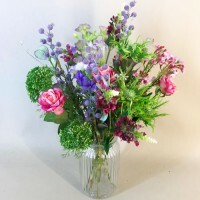 From traditional garden and Meadow Flowers to modern and contemporary blooms our unsurpassed range offers something for everyone. 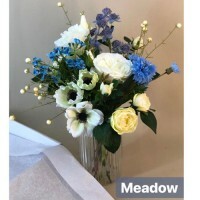 Silk Flower Bouquets and Artificial Flower Arrangements - Silk Flower Bouquets are the perfect gift, providing a long lasting reminder of the message you wish to convey. 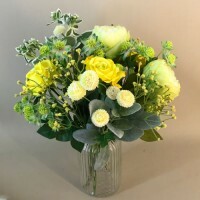 Whether you wish to say Happy Birthday, Happy Anniversary, Get Well Soon, Happy Retirement, I'm Sorry, Thank You or Thinking of You a gift of florist prepared, silk Artificial Flowers from, Decoflora will do just that! And what's more, they will be enjoyed by your loved ones or friends on their special occasions and the weeks, months and years that follow! What does Silk Flowers mean? Just wanted to say, my flowers arrived today and I couldn't be happier, for weeks I've been looking for the right arrangements and I'm so glad I found you. Thankyou. Carol ordered: .. I placed an order with you and noticed on the confirmation the incorrect delivery address. I contacted you immeadeatly with the correct address to which you repkied straight away and am .. I just wanted to say how much I loved the flowers. I ordered Christmas Velvet Poinsettia Grave Pot White and Silk Flowers Filled Grave Pot Red Christmas Poinsettias and Cream Carnations a ..
Hi, thank you for a great service! Thrilled with the bunch of herbs! They look great in a white jug in my new country kitchen! So realistic- I can identify each sprig! From Mrs. Burton .. 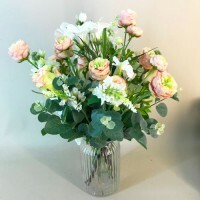 I have today received my last order and am really pleased with them also how they were presented were packed lovely receiving them in very good condition so am placing this other order ho .. The service I received was wonderful; warm and personable. I ordered my flowers for bouquets for my wedding. As soon as I opened the box, I was pleasently surprised. They were beautiful .. 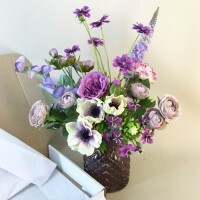 I would just like to say thankyou for the prompt delivery of my order and to say I was thrilled by the quality of the flowers I ordered. I will definitely order again and would not hesit ..
Dear decoflora, I have just received my order from you. I wish to say thank you for such beautiful orchids. They are above and beyond what I expected and will go with my mother of the b ..
Firstly happy new year to you all. I spoke twice to members of staff before Christmas to order flowers to use on Christmas trees. 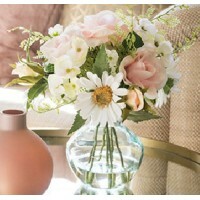 The flowers were to be sent to Jersey and I was str ..
Hi I received my flowers today . They are perfect for what I wanted . The quality is fantastic & it was a quick hassle free delivery . Will definitely order from you again and recommend ..